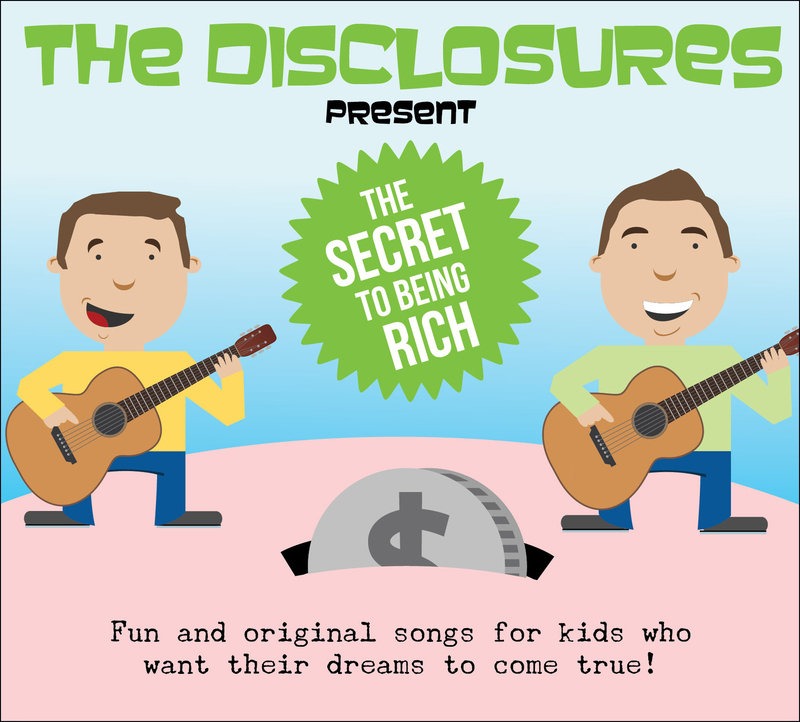 The Disclosures are proud to present “The Secret to Being Rich,” a one-of-a-kind album for kids (ages 10 and under) which incorporates concepts such as saving, responsible spending, the importance of charity, dangers of “too good to be true” advertising and even the basics of how loans work. The album’s overall theme ties into its tongue-in-cheek title, which is meant to convey to kids that being ‘rich’ takes hard work and discipline, and that you can also be wealthy in friends, family and other things in life that can matter much more than the money in your wallet. More info on the album is here. Check your favorite online music store – chances are we’re there!